Festivals are synonymous to celebrations. The festival of color? Well, we all know how exciting it is to celebrate Holi. Colors, sweets, music.. a whole load of fun! How do you host a memorable celebration at your workplace? 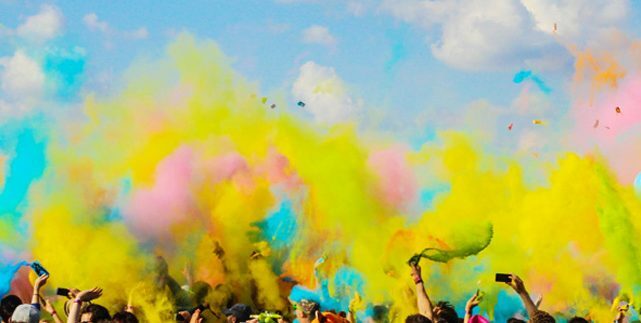 Here are 3 simple yet fun hacks for you to host your Holi party going! Decorate your workspace as colorful as possible! 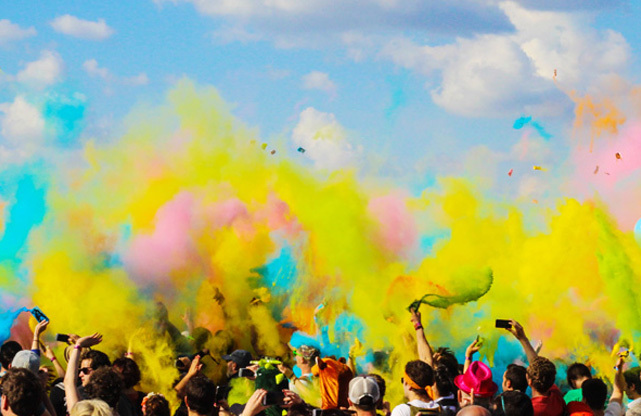 How to keep your “festival of colors” going? Be colorful! Use creative décor for your workspace, splash it with colors. You can use balloons, pinwheels and simple wall stickers. To add on, make your colleagues/employees come as colorful as possible. Have a small contest for this and give away a price for the most colorful person at work. Healthy competition is always good. How? Buy organic colors and dedicate a space for the celebrations outdoor. Unwind with music and colors. This will enable many employees to let down their guard and help professionally socialize. Delicious snacking? What more does one need! What is a festival without sweets and savories? Some yum pani-puries or samosas and jalebis? Who’d deny! Make sure to order mouth watery snacks for the after party. A happy tummy and a happy heart, the day ends on a good note. Let’s all together make sure to keep animals safe this Holi, remember, we can wash off the colors after celebrations, animals cannot. Let’s play a part in celebrating an eco-friendly Holi and use water sparsely and flood our newsfeeds with celebrations, pictures and document our memories. We at Workafella hope you have a super fun and safe Holi!